The apartment we stayed in was FANTASTIC. It had everything you could want or need and it was impeccably clean. It was SO GREAT to be able to step in after a long trip and immediately feel comfortable. Walking in and seeing the layout, the large bathroom, shower and bed and the finishing's added even more excitement to the start of the trip. Thanks for a great stay and for your assistance. I travel a lot with my job and have to say you offer a fantastic service. Love the quietness, the "feel at home" features like coffee from a jar, a loaf of fresh bread and vegemite. Having the washing machine and dryer in the room was easier than going back and forth to a laundry. The apartments are located close to the airports, Sylvia Park, Mt Smart Stadium which is super handy for concerts!! Yes we arrived back in Hawkes Bay last night safe and sound thank you - there were lots of things about Auckland genuinely surprised me on this trip and had me reassessing how I felt about coming up there - so I could be back there sooner rather than later. We thoroughly enjoyed our stay at the Kudos Apartments - they were exactly what we needed for our group - some where to cook, have a good rest and get into the day and feel rested and recharged enough to travel back home. I have to admit that I rang around a number of places and to try and find a place for a group such as ours to stay - I have commented to a number of my colleagues today about it being good place to take students. I would most certainly say that Kudos Apartments exceed my expectations in every way and I have rated all my answers to your survey questions as such. Thank you for taking my booking at the last moment and being a beacon in the rain when we drove past the establishment on our first attempt to find it. It was a pleasure to deal with you Peter and I'm sure when I come back I'll be looking you up. just to say thanks for our recent stay at Kudos airport appmts! We were very impressed with the appmt and found the unit really clean,modern, cosy and welcoming. Everything we needed was supplied and the unit was immaculate. The provision of food and drinks was also impressive! The air conditioning meant we were really warm on a cold Auckland winter's night. We will be telling our friends what a great place it is to stay so close to the airport. Also hope to return ourselves! Hi, Peter I would say that Kudos exceeded our expectations in every respect..
And would add a personal thank you for your hospitality, including an offer to provide airport transport. Be assured Lila, who comes from Western Australia (and is associated with a number of travel groups) and I shall be loud in our praises and recommendation of your business. Moreover, by our local standards I would suggest your tariff is a little on the low side for what you offer. Have stayed a number of times at Kudos Apartments and would not stay anywhere else in Auckland. A home away from home. Host Peter has thought of everything from milk, fruit juice, water and margerine/butter in the fridge. Coffee, Tea, Bread, Cereals and Spreads set out in kitchen. Washing Machine and Dryer in apartment so no need to take home dirty washing. Apartment spotless and beds so comfortable. Thanks Peter for making our stay so pleasant. We so enjoyed both our stays with you. Your driving us into Auckland was above and beyond! The units were spotlessly clean, not a speck of dust anywhere and beautifully decorated. Also very convenient to bus & train. I am a retired airline employee and will recommend your place to others visitng New Zealand. Everyone in our group was extremely impressed with your kindness and the high level of hospitality which you extended to us. You have certainly set a standard which should be envied by others operating in your type of business. Please accept my sincere thanks for making our time in Auckland so pleasurable. I was particularly impressed that you had Wifi installed since my last visit. The room as always is a delight and feels like a home away from home with all the necessary requirements needed by a frequent traveller. Hi Peter, Thanks again for the extra care you gave us. The stay at your accommodation was a great end to an extensive holiday in Australia and New Zealand. It was very relaxing in preparation for the long trip back to the U.S. If we ever have the opportunity to come to New Zealand, We will definitely plan to stay with you. We're back in Canada, and still working on getting over the jet lag! First of all, I want to thank you for your wonderful accommodations, and for your kindness and assistance while we were there. You're a fantastic host and the apartment was everything - and more - that we could have wished for. Thanks again! We miss New Zealand. Your accommodations were one of the best surprises of our vacation. We enjoyed our short stay and would highly recommend your apartments to anyone staying near the airport. The rooms had many unique features and had many little extras we did not expect. Thanks for a pleasant experience and we hope to come back to visit you again. Stay was great. Our Argentinean friends were impressed. They have stayed at various places around N.Z. and said yours was the best. I have recommended our Australian guys stay with you when in transit to the airport and have recommended you to others. It was fabulous and actually we commented on how super clean it was. Hi Peter, Thank you for your hospitality yesterday it was a pleasure after the rather stressful day I had and almost not being on the plane for my business trip! Your friendliness and assistance was refreshing and made me feel so welcome and at home in Auckland. Palmerston North was rather cold but it has been warmer here in Christchurch & heading home tomorrow. Hi Peter (or should I say kiwi) aha, sorry for taking so long to reply but this is the first chance I have had since I came home to even stop and spend time replying to e-mails. It has been a whirl wind since I came back but am settled now and missing New Zealand very much. It is hard to rate your hotel as all aspect of it exceeded my expectations so I have indicated that with my response. It was so nice to meet you and we were made to feel very welcome every where we stayed. Thanks again for making part of our holiday simply fabulous. Having spent 19 days in a campervan........which we very much enjoyed.......it was lovely to have so much space. We went to next door for a late lunch.......bought a bottle of wine and some snacks from a nearby shop and then spent the evening just relaxing and watching TV. The opportunity to catch up on our washing and ironing was also much appreciated.........but the icing on the cake was the lift to the airport, especially as the gentleman who drove us was kind enough to make a detour so that my husband could get some RWC special postage stamps he'd bought franked at a local post office.Full marks all round!!! We loved the space of the apartment and the great shower. Having bread and spreads, cereal fruit and milk available for breakfast was excellent for a relaxed start to the day. We all found the rooms to be very comfortable and loved the small touches (Face wipes, real toilet freshener, real hand soap, and nice toilet paper. We really did love our stay and found that it was also easy to find for taxis. Peter: thanks for your email, we had a great trip home, we thoroughly enjoyed our stay, couldnt believe when we arrived we didnt have to give you the booking number (as in past experiences with other places we have stayed with Fly Buy rewards) Your welcome & showing me through the unit was great, we really enjoyed our stay & would definately stay again & will pass onto our friends & family our experience & suggest they stay as well Thanks again. Peter,Thank you for the lovely stay in Auckland at your Comfort Inn Kudos. It was the perfect ending to our NZ trip. Your rooms were clean and friendly. We appreciate your help and advice during our one night stay. We found the unit to be lovely and would most definitely recommend it to our friends and family, the location from the airport was fantastic. Thank you Peter for looking after us so well. Our first indication of your top rate accomodation was when I rang to make a booking and you could offer us an apartment at a reasonable price when every other hotel/motel in he area was charging outrageous prices due to the rugby world cup. Also it was an 'apartment' so we didn't have to book 2 rooms for our family of 4. Not only that, but you offered to look after our vehicle at no extra cost while we were overseas. After dropping off our car you offered a free drop off to the Airport. On arriving back to stay with you the apartment was a welcomed respite when we had jetlag - clean, modern, easy to find, welcoming and friendly. All the little extra details like the beautiful complimentary breakfast, the washing machine and drier (with washing powder! ), the "real" coffee, the abundance of fresh, luxurious bath towels, the huge bed, the fabulous tv (to watch the All Blacks beat Australia! ), the fresh flowers on the coffee table, the high quality bath products, fruit juice in the fridge, tasteful artwork on the walls, and it was quiet and peaceful. Thank you so much, and we will definitely be back. "The experience was first rate including the breakfast. The linens were crisp and very fresh, the towels large and comfortable. 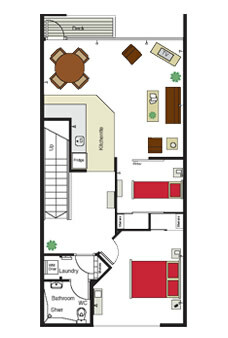 Lots of room in the 2-bedroom suite for both privacy and family gathering with the great seating arrangement. Complimentary washer and drier was a great touch for tired travellers and the owner Peter could not have been more accommodating." "The apartments were very quiet - great to get a good night's sleep. Thankyou for a lovely stay and we look forward to returning in the future." "Thanks for your email. We had a fantastic stay thank you. We were very impressed with the standard of accommodation and definitely will be using Kudos as our airport accomm from now on!" "We were absolutely delighted with your complex. We would rate the facilities as superior and greatly appreciated and were delighted by your complimentaty breakfast. Regards and thanks"
"Our stay was fantastic though very short, and the apartment was just what a couple of weary travellers needed! We were very pleasantly surprised at how clean, neat and well stocked everything was ... Thank you! Thanks again, and we've already started telling friends & family about your apartments when they're next through." "This would have to be our No1 choice in future for accommodation. The units were extremely quiet ( important for a good nights sleep in order to be productive the next day) and having the continental breakfast was a bonus. I would find it difficult to make a higher recommendation." "My family and I thoroughly enjoyed our stay at the Kudos Suite, Mangere. The unit was definitely beyond our expectations, we did not realise that there was a washing machine/dryer in the unit, this was a great extra especially with the wet weather. The complimentary breakfast cereals etc were lovely and my two children really enjoyed having the DVD so they could watch their favourite movies. The unit was immaculately clean and modern, having the bench top oven was a bonus especially when you have a family of 4 to cook for. I was about to ring you sometime this week and personally thank Kudos for their wonderful hospitality but email is just as good. The only disappointment was that we didn't plan ahead and stay for another night, we will keep that in mind for the future. I highly recommend Kudos to all my friends and family, I felt that it was like a home away from home. Thank you once again, we will definitely return again someday." "We were delighted with the standard of accommodation. The apartment was clean, tidy, spacious and well appointed. Beds were comfortable and there was plenty of storage. The air-conditioning and washing machine/dryer in the unit was a huge bonus. Little extras like paper towels and gladwrap in the kitchen were much appreciated - I normally end up buying these for a long stay. We also appreciated your assistance in helping us with the extended internet access." "Thank you very much, we had a very pleasant stay. Your apartment is very clean, modern and beautiful! We liked it very much!" "Your hostility was first class and the service great. We would recommend to our friends if visiting Auckland to look at your apartments. Thanks once again"
"Yes we arrived home safely after a long day. It was a pleasure staying in your motel,and yes it exceeded our expectations. Peter and I have stayed in quite a few motels,hotels and apartments around Australia and our ones in N.Z. run rings around them.We will definitely stay again .Definitely value for money." "Our stay at Kudos Aapartments was excellent. Peter was very acomodating with our late booking and arrival that same night, meeting us there and settling us in. The accomodation was far superior to any other airport accomodation I had ever used before in any country! One child had a broken leg so the unexpected bonus of the disabled unit with a sit down shower unit was above and beyond expectations - pure by chance - but excellent. The supplies of juice and milk and cereal were also far beyond expectation, and I will definitely use these apartments again. No comparison anywhere. Fantastic Kiwi ingenuity! Well done Peter!" "Thank you so much for the hospitality, the accomodation was beyond our expectations and more. We have been travelling quite frequently in the past 3 years and have stayed throughout many places in Auckland, Australia and Samoa and have never come across something so beautifully well kept, it was definetely our home away from home. My family and I were so overwelmed with relief once we walked through the door jet lagged after a very long 2 weeks without hot water overseas and sleeping on the floor (island styles) as well as hand washing our clothes only to mention a few. The apartment was exceptional as well as the service we received and I dont know why we have wasted our time with other places in the past which not only costs more but is nothing compared to Kudos in the way of hygiene standards which is a very important factor for us with a young child and modern equipment. We very much look forward to staying with you again in the future and will not hesitate to recommend Kudos to anyone and everyone we come across in regards to accomodation. Once again, thank you so much for your lovely accomodation." "Thanks so much for the smooth transaction with you in regards to our accommodation last night. We found everything great, just wish we had have had more time to enjoy the lovely apartment. Maybe next time!" "Thank you for a very pleasant stay and your friendly hospitality. I would certainly recommend your apartments to my friends." "Hiya Peter, the kids and I were very impressed with the apartment we stayed in on 3rd Dec, it was lovely and clean and exceeded all our expectations 100%.. It was very handy to the airport and also to the local shopping mall, also we couldn't really get lost as it was situated in an easy to find area. We would certainly love to stay with you again when we come to Auckland in the future. Thankyou again. ."
"The accommodation was great, better than expected. Ideal for a business traveller. Will definitely stay again." "Peter we had a great stay at the apartment and we would definetly stay again on our next visit to NZ"
"Fantastic accommodation, excellent friendly hosts, we will definately be recommending to all and we will be back!" "It is with great enthusiasm that I fill in your survey. We all agree your appartments totally exceeded our expectations !! Your customer service was also exceptional, from the re booking of my original accomodation all through to your lovely service of picking us up at the Airport at midnight !!!! We trully enjoyed our stay at Kudos apartments and would HIGHLY recommend this apartments to all who are looking to stay in Auckland!!! With warm regards Tina and family xox"
"Travelling can introduce unnecessary stress, especially when it is at the end of the day, you have risen early, exchanged points of views, lost some battles, won others then having to endure airport departure processes, tolerating the waiting and aircraft delays, accept the travelling time to destination and finally suffer the process when exiting the airport – that includes the population of a small town and myself doing so simultaneously. To place a single call to a cell phone number at half past midnight for the first time, having been awake for 17 hours, have personal service extract you from the masses and take you to your impeccable accommodation – all seamlessly, painlessly and all within 10 minutes – mate – I have no words – you just have to experience it – all I can say is thank you." "Thanks for your email which was waiting for us on our arrival home from Christchurch last night. We would definitely stay at Kudos Apartments again and we will be recommending you to friends and relatives in Australia and New Zealand. The very generous breakfast items supplied in the apartment were an added bonus in an exceptionally clean and bright apartment. 'Kudos' was a great way to start a NZ holiday." "Thanks Peter, Everything we had was more than what we expected before we checked -in. We are definiately coming back to your apartment in future. Thank you." "Kudos Apartments are a wonderful place to stay and I recommend them ... don't even hesitate. I often have to have an overnight stay near Auckland airport and have stayed at various hotels but never again. I will always book a night at Kudos Apartments in the future." "Thanks for a great stay. The unit meet expectations ++. Yes we will stay again with you and recommend you also. Regards"
"Our family visits different parts of NZ at least once a year and we have always found the locals to be extremely helpful and kind. The warm welcome and service we received from you made our stay extra special, particularly when our flight from Australia arrived so late at night. Thank-you very much and if we stay in Auckland in the future, we'll be sure to look you up." "Even though it was a short overnight stay, I was very impressed with the room. I will recommend you to my work colleges who travel back and forth to New Zealand." "The apartment was absolutely sound proof - could not hear trucks, cars, planes etc. We stay at many apartments, motels and hotels here in NZ & Australia and I have to say that this accommodation would be very hard to beat. The quality of furnishings, appliances, crockery, glassware & utensils was tops. The lady who was cleaning the apartments when we turned up was very polite, helpful and happy to show us through. Thank you Pete for hosting us @ Kudos, we look forward to telling our friends and family and returning to stay." "Thanks for follow-up ........A pleasure to fill in your questionnaire. We were more than happy with our dealings with you in regard to our overnight stay (Friday/Saturday16-17 July) We spent a very valuable 5 hours with our daughter and their family on Saturday morning as they flew in for a brief visit en route from Alaska to Perth. Your unit was ideal for our purposes and we will certainly use you in the future. Communication was very professional and we couldn't have asked for more." "We did get home safe , the weather was nicely on our side. We enjoyed our stay. I liked the fact that it was so close to the airport and most of all, that it was so easy with children. They were really excited about the tv in the bedroom! Also the breakfast ingredients were a nice bonus. Thank you for your hospitality. We will use your establishment in the future and definetly will recommend you to others!" "I wish to thank you for making my stay at your apartments so welcoming. I will definitely recommend them to all my friends and acquaintances." "Thank-you for a wonderful stay the apartment was just excellent, we have recommended to our Executive Manager who arrived Friday morning and saw the apartment for herself we use KUDOS for future stays." "The breakfast supplied was great and very generous. It was lovely to have the lights on in the unit when we arrived and the decor was superb. After some of the places we stayed in while overseas, the apartment was luxurious in comparison!" "We were very satified with the accom, cleanliness and services. You will no doubt see friends of ours over the next months. Good luck with the world cup bookings,hope you sell out. All the best,"
"We were impressed with the accommodation and the comprehensive content. We will most certainly make use of your facility again. We will pass on your name to friends best wishes Bernadene"
"Thanks - we had a good trip home. And thanks for your hospitality during our stay. We would definitely stay with you again and recommend your apartments to others!" "Just a quick note to say ‘Many Thanks’ for a great stay. Although this time it was too short, perhaps the next time it will be longer! It was also greatly appreciated to have access to my email, at your kindness, two days later when I was anxious to send correspondence – thank you so very much." "I would love to stay another time, maybe in the near future at your accomodation. It was very very nice, especially if I take into account my present accomodation. I always think back to my comfortable room in Auckland. Thanks for sending my postcards by the way. I hope to see you again soon." "I would like to thank you very much for the accommodation made available to my basketball team. The accommodation was awesome, the service was nothing more than great. I felt you guys went the extra mile to assist in accommodating the basketball team and ensuring that they all had separate sleeping. I would like to recommend to all that the Kudos apartments are a great place to stay. Apartments are modern and very nice, parking not a problem and great service! Once again thank you,"
"Thanks Peter I enjoyed my stay. It was the best I've found (In Auck, Ham, PN, Chch, or Dunedin) I am recommending it to my colleagues as amongst the 1/2 dozen or so of us we spend about 100 plus nights a year in Auckland. Bryan will be coming to see you in a few days to check it out. I will be staying again for 5 nights in Aug and 5 nights in Oct. I will book over internet for them." "What a nice surprise to receive your email to welcocme us home. My 13 year old daughter said it was the best accommodation we had stayed in and wished we could stay with you a bit longer. what a bonus to find you supply bread and milk for breakfast. Since our flight was at 4.00am in the morning we left the keys in your letter box. i hope you found it ok. Thanks again"
"Thanks so much for this weekend your apartment was great, kids wanted to move in. The juice boxes and small boxes of cerela were a huge hit.. I will definitly use you again and recommend to others, I have a friend who is a travel agent and have given your name to her. She books people into stay around airport all the time." 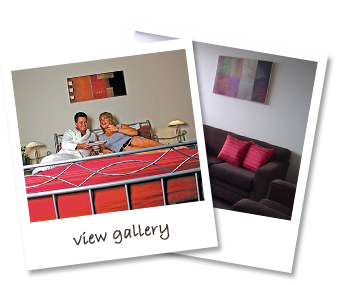 "Apartment far exceeded expectations - and much better than where we usually stay in Auckland . Look forward to staying again"
"Peter, We were all more than pleased with the accommodation. Thank you again for your hospitality and for giving us a lift to our hotel in Auckland. It was much appreciated indeed and saved us a lot of troubles with the little one on the bus :-) I will definitely recommend Kudos Apartments to my friends. Thank you once again and all the best to you and your family! Keep up the good work!" "I had a very enjoyable stay, the apartment and service exceeding all my expectations. The layout of the apartment was so well done that it felt like home. Without a doubt it would be difficult to find another accommodation that could match what you provide, i would score your fine establishment a 10/10. The best accommodation by far i have stayed in, felt so good i didn't want to leave, next time i am in the area i will be using your services again. Thank you very much for an enjoyable and very satisfying experience." "I'm so pleased Ive discovered Kudos Apartments. Great to recieve a warm welcome late at night. Nice design which suited our family. Good value for money." "Units were beautiful and spacious Definitely will be staying again and will be recommending to family and friends Units were great, spacious and family friendly. Really enjoyed the stay and will definitely be back to stay again"
"I liked the idea of the louvred screen doors. I also liked the design of the laundry area and the concealing folding door, and appreciated the provision of this facility. The location of the main bedroom makes traffic noise virtually non-existent which I value since I am a light sleeper." "I can now confirm my next stay, checking in Monday 15/3/2010 - checking out Thursday 25/3/2010. This is likely to be my last stay with you and I would like to thank you for your hospitality, you have a great hassle free service that I will recommend to others. Regards,"
"FANTASTIC APARTMENTS!!! AND LOVED THE BREAKY IN THE UNIT ESPECIALLY WITH A 4AM WAKE UP CALL. WILL DEFINITELY STAY AGAIN"
"Definitely exceeded expectations on all fronts! Will certainly use you again and will recommend you to friends. Thank you for making our stay so comfortable." "We were very impressed with our unit. Air conditioning was greatly appreciated. Plenty of room for three adults. One of the cleanest and well stocked units we have had the pleasure of staying in. Loved having a washing machine and dryer. Appreciated the privacy and knowing you were near by if needed. YES we will be back to stay but next time Don would like to leave the mother-in-law at home LOL>"
"Thanks Peter.Yes I would definitely stay again. Handy location, and very clean and spacious for the price." "No worries at all - your accommodation is a very high standard and we were indeed made to feel welcome. As you indicated, it isn't designed to have four adults and my husband (who slept on the rollout) did find that bed uncomfortable as it sagged in the middle. However he could probably have put the mattress on the floor to overcome this and didn't think of it. Of course we understand completely that it would be OK for a child and that the unit would not normally be used by 4 adults. We were just grateful when we arrived that you were OK about us staying! Kind regards"
"Thanks for the personalised service and welcome. We would certainly stay again if in Auckland. Excellent value. Family comment on apartment WOW !" "Many thanks,my firends had the highest praise for you and Kudos apartments and I will stay with you the next time I require accomodation in Auckland,and I hope I can return the hospitality for you to come to Absolute-bliss apartments in Paihia anytime." "As a Business Traveller, I found the accommodation to be a perfect mix of business facilities but still feeling comfortable and homely. Well done!!" "Just want to thank you at Kudos Business Apartments for the wonderful hospitality on our stay a few weeks ago. The apartment was very modern and spacious, with all the necessities required for the week and the extra touches were certainly appreciated i.e chocolates, wine and more than ample tea, coffee, milk and biscuits. We wish you every success in the future." "High quality accommodation with friendly service with a smile. Good food and the Apartments are beautifully appointed. Conference Rooms are great as well." "Flowing space with nice decor. Helpful people with instant heating system. Great Showers. This place provides what we need and wow we were serviced each day." "Very clean and tidy apartment, compliments to the cleaning staff; very helpful and nice people." "Just wanted to send you a wee note to say what a fantastic time I had staying at the Kudos Airport Apartments. The apartment was spacious, well equipped and homely. Furthermore your attention to detail was exceptional! The staff were helpful and friendly, and nothing was too much trouble. I have stayed in a number of different apartments and hotels with my work, and the Kudos Airport Apartments were the best by far. I will be recommending them to anyone needing somewhere to stay close to the airport." "I was very pleased with the apartment and it is one of the factors that has contributed to my quick adjustment to life in New Zealand. Once again many thanks for a comfortable stay at Kudos Apartments." "I was surprised to see a box of chocolates with a thank you card sitting on my desk when I came in to work this morning. Thanks so much for it. Donald did have a great stay at your apartment. He said that you all looked after him well and the service you provided to him, was EXCELLENT! Thanks once again. Many thanks and kind regards, Jhanna"
"Thanks Kudos. What a great place and a great stay! I really enjoyed how you made me feel so welcome. Your welcome letter personally addressed to me was a really nice touch, as were the chocolates. Thanks! Looking forward to staying again soon. Take care in the meantime. Regards Gavin." "Many thanks for your assistance recently. I really enjoyed the stay at Kudos and hope to stay there again some time in the future." "Your caring attitude and constant display of going beyond the call of duty was really appreciated. The business associates with whom I was meeting also had only the nicest things to say about your hospitality. Many also commented about how ideal my apartment was as a business meeting venue. Thanks once again and Kudos will certainly be a regular for me on future visits to Auckland."